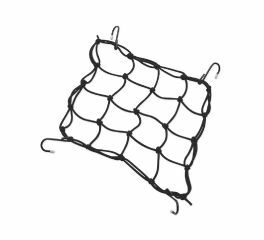 Ideal for use when luggage is mounted on a narrow passenger pillion, or when you need to secure multiple pieces of luggage for a long trip. 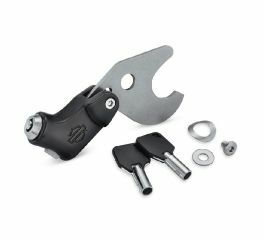 This unique lock replaces the cam-lock on your H-D® Detachables™ accessories, providing additional security and peace of mind when parking your vehicle. 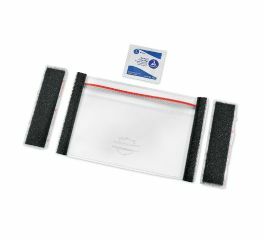 Keep your luggage firmly in place. 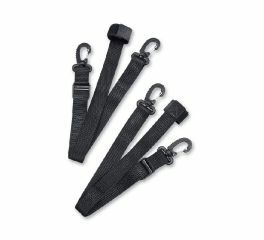 Simply loop these Soft-Hook Extensions around your luggage rack bar, and you have a secure connection point for bungee hooks. 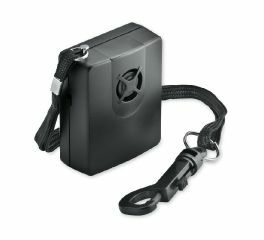 Self-contained alarm protects your covered motorcycle from tampering and fits into the pocket of select H-D® Motorcycle Covers. 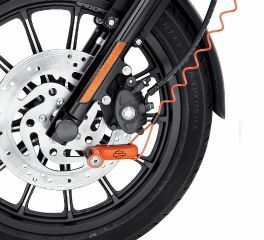 Harley-Davidson® Ratchet Tie-Down Straps feature lever-action ratchets for use when greater tensioning power is needed. 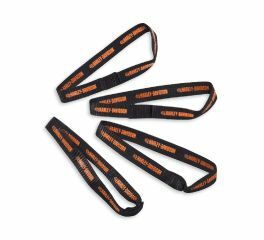 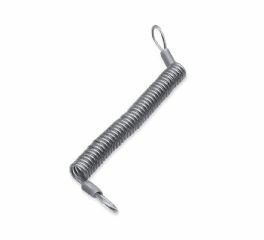 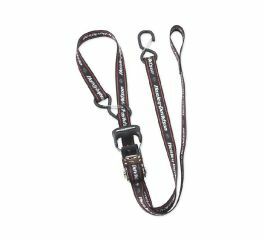 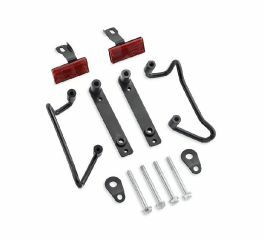 These 1-1/4" Harley-Davidson® tie downs have a 1200 lb capacity and feature Harley-Davidson® scripted webbing with a loop handle for easy pulling. 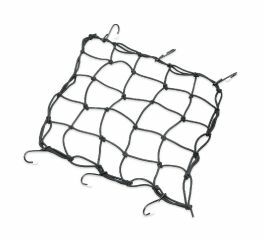 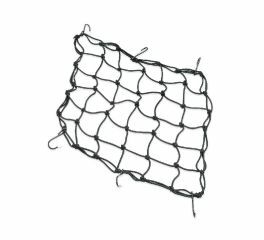 Versatile cargo net features vinyl-coated attaching hooks to hold your cargo securely. 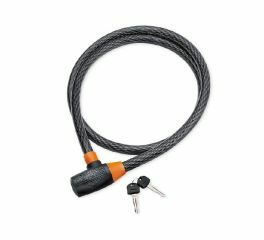 This handy cable is a great complement to the Harley-Davidson® Helmet Lock. 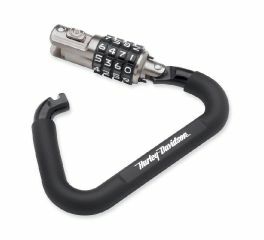 Secure your valuables. 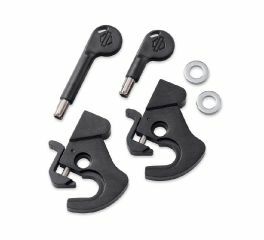 This locking system allows you to protect your HoldFast Sissy Bar, Luggage Rack or Tour-Pak Mounting Rack from theft, providing security and peace of mind when parking your vehicle.